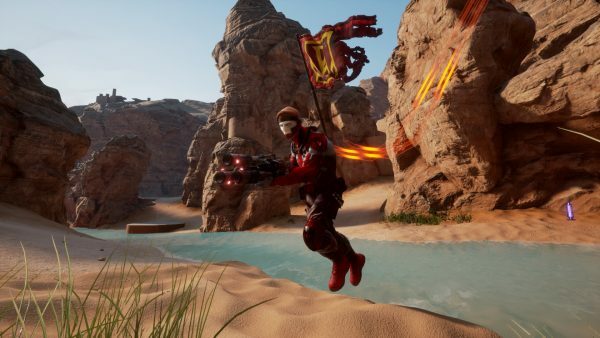 Due to the rising success of Fortnite, Epic Games has put further development of Unreal Tournament on hold. Work on Unreal Tournament was put on hold back in September as the team directed all its effort towards developing Fortnite. Epic Games CEO and founder Tim Sweeney recently told Variety that “Unreal Tournament remains available in store but isn’t actively developed”, in a disappointing blow to Unreal fans. Epic Games has announced a new Epic Games Store to rival Steam, which has had an inevitable impact on further development of older titles. Sweeney also said that Epic Games had “recently worked with GOG on making classic Epic Games titles available”, so we’ll hopefully see some old favourites restored on the GOG storefront soon. Unreal Tournament is a first-person shooter franchise created by Epic Games and Digital Extremes all the way back in 1999. Back in 2014, Epic Games announced that it would start work on the latest title, but resources were pulled in order to focus on Fortnite. The last Unreal Tournament update was released in 2017 and it doesn’t look like there will be any more updates any time soon.